I am new to CNC so this might be a misinformed/newbie question. I am building my own CNC Mill controller. To that end, I have purchase a UC400ETH motion controller and HDBB2 breakout board. Also, I have the UCCNC softwared. One HDBB2 allows me to control 4 axis and has a number of outputs. But I am surprised that it only has 5 distinct inputs, and I have used them up already. Buying a second HDBB2 will only get met another 5 inputs, and almost everything else goes to waste. I did some online research and found out that every other manufacturer has essentially the same limitation. The LPT pin assignments are standardized, and there are only 5 inputs available per parallel port connection. I suppose the input/output pin assignments of the BB's are a result of the legacy PC printer port specification. But, the UCCNC software allows one to specify virtually any LPT pin to any input or output port and the UC400ETH is not a PC. This has me thinking. If I wire up a circuit to put 'input signals' onto pins (example: lpt pins 2,3,4,5) of the UC400ETH LPT port #2, and set the UCCNC control software accordingly. Will it work? My reasoning goes like this. The UC400ETH is a complicated Programmable Logic Chip (or similar), and there is a good chance the pin functionality is undifferentiated. Any pin on a port can be both input or output. A) the UCCNC control software. B) the electrical characteristics of the circuit that pin goes to on the BB. The UC400ETH has 2pcs of standard LPT port pinout ports, which means 12 outputs and 5 inputs per port. The direction of all pins are fixed. On the outputs there are 74HC14 buffer chips and on the inputs there are voltage divider network and RC filter. 1.) The microcontroller works with 3.3Volts only, so it's output pins can produce only 3.3V Voltage max. 2.) The microcontroller outputs can sink/source 8mA of current max. only. 3.) If all outputs would be driven on maximum current then the total power consumption of the microcontroller would exceed the absolute maximum ratings of the chip. And you can't attach an output type function to an input type pin and vica versa in the UCCNC. If you do that then the software will check it when you will hit the Apply settings and will reset the pin setting to zero if the direction of the selected pin is not correct for the function. If you need lots of inputs for your application then you could use our UC300ETH-5LPT controller which has 55 inputs in total in 5pcs of IDC26 ports where the ports 2. and 3. has standard LPT port pinout just like the UC400ETH and the ports 1., 4. and 5. has the low 8 pins 2.-9. as inputs. And I just found a product (C10 - Bi-directional breakout board) which does allow pins to be re-assigned. It is a shame that the UC400ETH has locked its pin-assignments into 'standard roles'. The pinout of the device is clearly listed in the product manual in chapter 8. I/O connections of the device, it is described which pins are inputs and which are outputs. What you can connect to the UC400ETH is 2pcs of breakout boards which have standard LPT port pinouts. By the way, for what functions do you need more than 10pcs of inputs? I'm just curious, because maybe there is also a missunderstanding about how different I/O functions work and how many of them you will actually need in your setup. Usually for a 3-axis router/mill even 5 inputs are enough. As previously mentioned, I am building my own CNC controller from components. Also, I am new to CNC. So there is much I am still learning. I guess I am prone to 'tricking out' whatever I build. Trying to load it up with extra features. I recently realized that having 1 line dedicated to E-Stop might be good. But screw terminal 21 (on the HDBB2) and input #1 seem to be tied together. Home? I'm not sure I know what this is yet. Then I thought I should plan for adding spindle encoding (index, quadrature, etc.). You can connect all Limit inputs and Home inputs to even a single input pin. It will work, because homing is done in a sequence, so one time only one home input is triggered. And also the limit pins all just trigger the Reset and can be globally overriden with the limits override function. because the virtual LEDs on the diagnostics screen will all light when the single input pin will trigger. However likely you see which axis ran to the limit and which side when you will look at the machine axes. Alternatively you could connect all + side and - sides to 1-1 separate input pins and then you will see on which side the machine went on the limit. Or you could separate them per axis, so then it is even easier to see which axis went to timit and by looking at the machine you could see which end, but then for 3 axes you need to use 3 input pins. And yes, you need to connect the e-stop to a separate input, because if you connect that also to the same input where the limits and homes are connected to then you can't override the limits with the Limit override function of the UCCNC, because e-stop input can't be overriden. 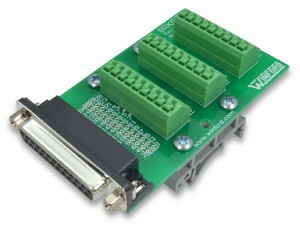 The spindle encoder needs 3 input pins, the A, B and the Index channels of the encoder. And you probably want to add a probe input at some stage of the machine building. And so we standing at 6 to 8 inputs only. Thank you. There is a lot to think about, but 1 more BB should be sufficient. I'm not sure if I understand the question, but if the question is about if you can connect buttons and MPG encoder to inputs on the UC300ETH to build an external MPG jog controller then the answer is yes, it is possible. The MPR pins you can configure in the UCCNC. And the other MPG functions like the MPG axis selection, and the different MPG modes, step size etc. all have button codes which you can configure in the input triggers. I don't know what and how you want to do with the Arduino, but the UCCNC can talk Modbus and also the arduino pins could be connected to trigger inputs on the UC300ETH and can call button codes to trigger any UCCNC functions. "And so we standing at 6 to 8 inputs only."